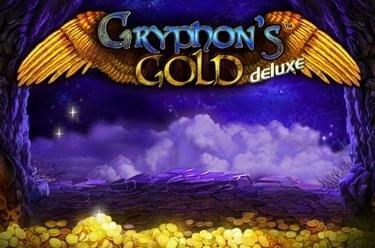 Play Gryphon´s Gold™ deluxe online for free now! Enter a legendary country in Gryphon's Gold™ deluxe populated with mythical creatures and rich with undected treasures. The most valuable one is a vast golden treasure guarded by a creature half eagle, half lion - the majestic griffin. To get your hands on his treasures you have to walk along a path which leads through the mystical forest. If you complete this adventure sucessfully your reward will be the gold of the griffin! Your aim at Gryphon's Gold™ deluxe is to land 5 matching symbols on up to 10 win lines, which cannot be interrupted by other symbols. You win as soon as at least 2 matching 9s, princess, unicorn or griffin symbols land on the lines, which run from left to right. All other symbols have to appear at least 3 times on a line to get you a win. The griffin replaces all symbols except for the Scatter symbols and doubles your line win. You win from 2 Scatter symbols (forest symbols) regardless of their position on the reels. 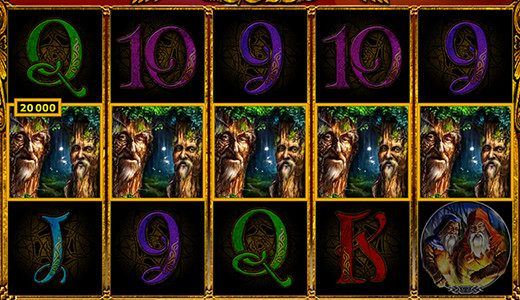 3 or more Scatter symbols trigger 15 free games with triple winnings. Enter the mysterious forest in the free games and discover its treasures! 3 Scatter symbols (forest symbols) trigger 15 free games with the settings of your last regular game. You winnings will be tripled during the free games and you can win additional bonus rounds.